Category: Religion and Spirituality, Spiritual Thought and Practice Tags: panspiritist, science, spiritual, spirituality. 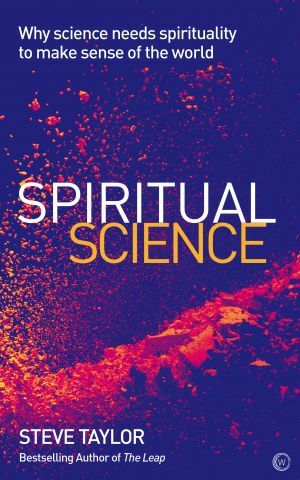 Spiritual Science offers an alternative, spiritual view of reality that transcends both conventional science and religion, and answers many of the riddles that neither can explain. The standard model of science has had little success in explaining such areas as human consciousness, the connection between the mind and the body, altruism and ‘anomalous’ phenomena such as near-death experiences, psi phenomena (such as telepathy) and spiritual experiences. But from a ‘panspiritist’ point of view – which sees spirit or consciousness as a fundamental essence of reality – it is possible to make sense of all these things. Steve Taylor puts forward the evidence for a spiritual view of reality, drawing on the insights of philosophers, physicists, mystics, as well as spiritual traditions and indigenous cultures. He systematically shows how a ‘panspiritist’ view can explain many puzzling aspects of science and the world, including evolution and the origins of life, and a wide range of other phenomena such as quantum physics, the placebo effect, precognition and neuroplasticity. Spiritual Science offers a new vision of the world that is compatible with both modern science and ancient spiritual teachings. It provides a more accurate and holistic account of reality than conventional science or religion, integrating a wide range of phenomena that are excluded from both. After showing how the materialist worldview demeans the world and human life, Spiritual Science offers a brighter alternative – a vision of the world as sacred and interconnected, and of human life as meaningful and purposeful. Spiritual Science explains how the standard materialist model of reality developed, and turned into a belief system. This belief system can only function by denying (or explaining away) a whole range of phenomena that are part of human experience.